Amazon isn't the cheapest online bookstore, but they do have the best information on books, in my opinion. Search for BGP books at Amazon. 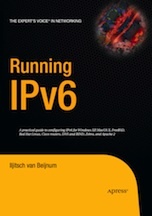 In essence, I wrote the book I wish I had when I first started out with BGP. It explains current interdomain routing practices, including AS number and IP addressing issues, and has real-world BGP examples for Cisco routers. Very detailed description of BGP, with Cisco example configurations. This book is structured as a reference manual for the BGP commands in Cisco IOS, but it offers more: for each command, there is at least one example that shows how the command is used. Haven't read it. Shorter than the others at 137 pages (and cheaper). I hear it's good, with a detailed protocol description and operational details. by Pete Loshin, et al. Haven't read it. Just the RFCs. The former chairman of the Internet Architecture Board describes many of the core Internet protocols (including IPv6) and shares some insight in the more political issues, such as OSI vs IPv6. Excellent in-depth treatment of routing and switching. Some info on interdomain routing. This is a very good book on gigabit speed networking in general and descriptions of several technologies, including fiber optics, cell networking and ATM, host performance and QoS. Describes the early days of the Internet, or rather, the ARPANET. Very interesting. Classic textbook on computer networking. Covers everything from layering (the OSI model), transmission media, error detection and correction, sliding windows to congestion control and much, much more. Excellent book on Ethernet, with many interesting things on 10, 100 and 1000 megabit Ethernet. The book goes into great detail. Covers many protocols from the TCP/IP family, but the 120 pages on TCP alone makes the book worth buying. Good primer on Cisco IOS configuration in general. Practical routing using Cisco routers.